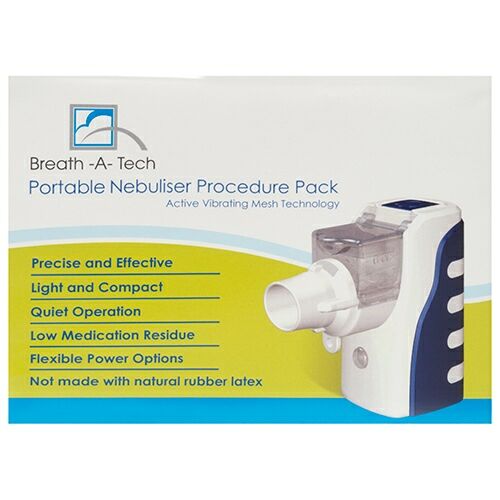 Recommended for delivering asthma and COPD medication where pMDI and spacer cannot be utilised. This compact and lightweight device utilises Active Vibrating Mesh Technology that provides quiet, precise and effective nebulisation. This efficient nebuliser is designed to allow minimal medication residue with low power consumption. Flexible power options, either batteries or power adaptor. Ideal for everyday asthma management for patients of all ages.